There are two Final Fantasy games out this fall. One is Final Fantasy XV, the latest step in the evolution of the series and a far cry from the turn-based dungeon crawlers of the past. The other is World of Final Fantasy, a candy-coated celebration of everything that came before. 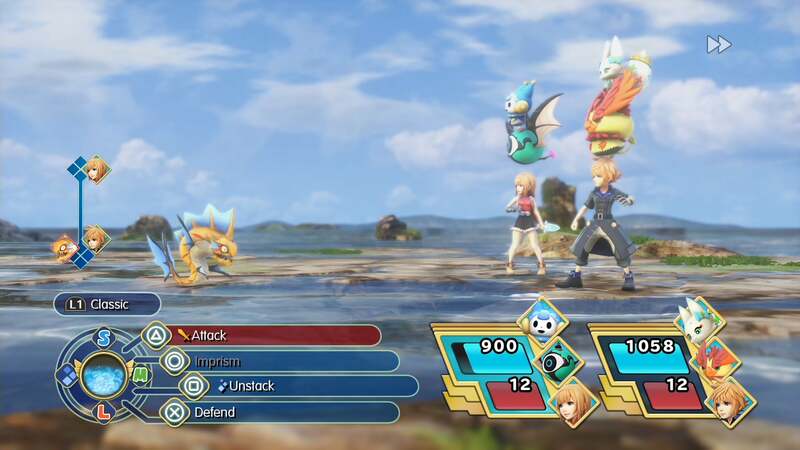 First announced shortly before or perhaps directly after the reveal of the Final Fantasy VII remake at E3 2015, World of Final Fantasy stood in sharp contrast to the dark and dirty streets of high definition Midgar. It's short and stumpy characters and cartoon re-imaginings of classic Final Fantasy creatures delighted some and disgusted others. What was this cutesy thing? Was it an MMO? A free-to-play game? Match-three puzzler with stacking creatures? The confusion was cleared up in short order by game director Hiroki Chiba. 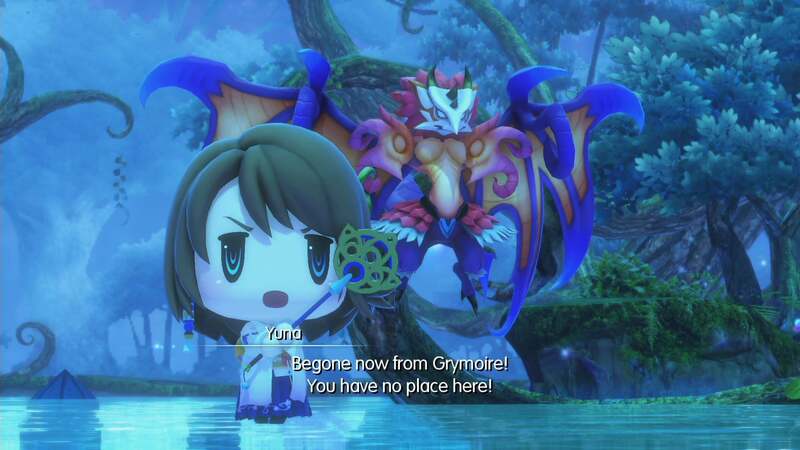 World of Final Fantasy is a turn-based Japanese role-playing game steeped in the lore of Final Fantasies past, while telling a new tale all its own. 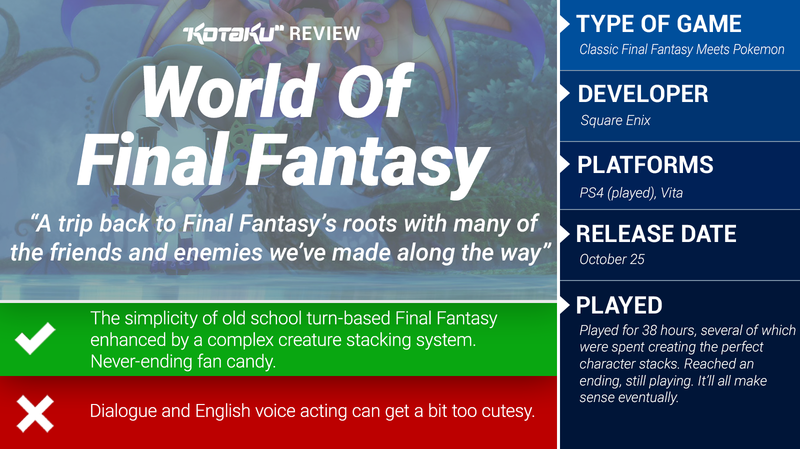 While it's why-can't-I-buy-toys-yet art direction is meant to appeal to fans unfamiliar with the Final Fantasy franchise, World of Final Fantasy is completely old school at heart. We're talking enter the dungeon, scour every inch for treasure chests (and the odd thing pretending to be a treasure chest), fight a boss in turn-based (active time or regular waiting) battle, move on to the next dungeon-esque area. Along the way we experience the story of Lann and Reynn, a pair of twins who wake from a dream to find themselves in a ghost town on the outskirts of time and space with few memories of their former lives. . Learning of their shared power to capture and control creatures known as mirages, the pair set off into the world of Grymoire to amass an army and recover their lost memories. Those creatures standing atop of the heads of World of Final Fantasy's heroes? They're basically this game's answer to the job system. 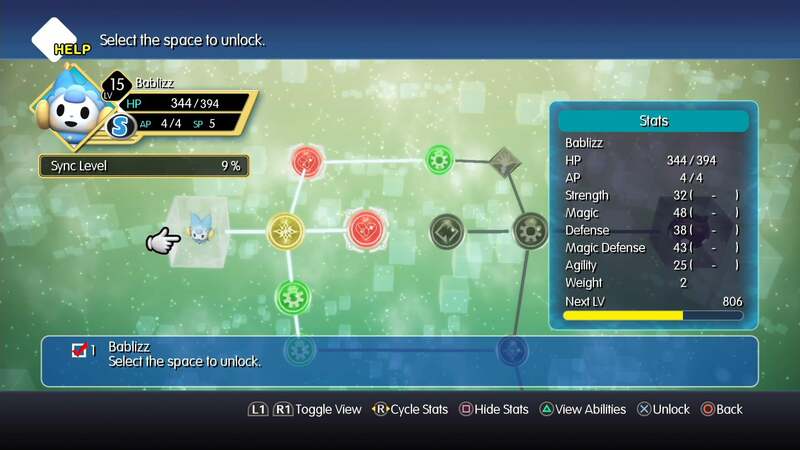 Rather than assigning characters specific jobs with unique spells and skills, a character's abilities are determined by the collectible creatures stacked above or below them. There's a little bit of Pokémon in World of Final Fantasy. Most of the creatures encountered in battle can be captured and added to the player's team. Once special conditions ranging from basic damage to use of specific spell types are fulfilled, players can attempt to imprism their enemies, adding them to an ever-growing menagerie of familiar foes. Each of these mirages has its own ability tree, many with evolutionary branches. Stacking the two player characters with mirages creates a powerful gestalt unit. Statistics compound. Abilities are shared, with complementary skills merging to become more powerful versions. Finding the perfect balance of skills and spells and resistances is an ongoing engineering puzzle that I'm still happily hacking away more than 35 hours into the game. You don't have to micromanage, but if you're into that sort of thing World of Final Fantasy offers many opportunities. There's even an online multiplayer arena, where players can pit their teams against one another to see how they stack up, though finding competitors during pre-release was pretty much impossible. And so Reynn and Lann work their way across Grymoire, a world stitched together from parts of previous Final Fantasy games. Their quest first takes them to the Kingdom of Cornelia, where Princess Sarah struggles to protect her people from the Bahamutian army, a sinister force slowly annexing the patchwork land. Characters from Final Fantasy's I through XIII and beyond join forces to repel the threat, many lending their power (and elaborate summoning animations) to the twins along the way. But the classic characters and locations in World of Final Fantasy are more than set dressing. Each plays an important role in the game's story, with many starring in their own special side quests as well. Many of the characters' original voice actors return, and characters that never had voices speak for the first time (in both English and Japanese). Where World of Final Fantasy stumbles is in its efforts to please series veterans and newcomers simultaneously. Old school JRPG junkies will love the lengthy dungeons packed with random encounters, the old format's tedium lessened by the thrill of the hunt for new creatures and some very clever camera work. They will be tickled seeing characters from different games working together in ways that almost make sense. They will thrill at the inclusion of one of my favourite JRPG features, anime cutscenes. But then we have this goofy presentation, the superdeformed characters that feel like they were made to be sold in blind bags at the table with all the Pocky in the Anime Weekend Atlanta dealers' room. There's a serious story being told with these cute little bastards, but it's sometimes hard to tell with the game drowning me in slapstick shenanigans. 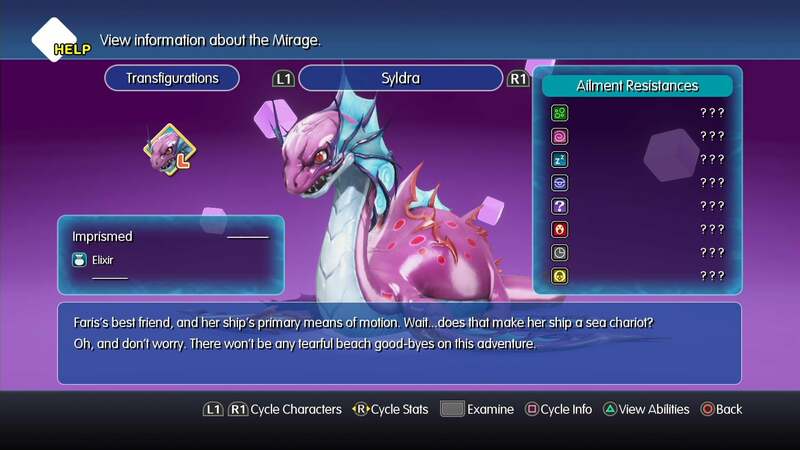 In the video below Reynn and Lann, accompanied by their squeaky sidekick with an annoying speech pattern, meet three of Final Fantasy's more well-known summoned creatures. Hilarity ensues. Note than Lann is the stupid one. Or don't bother, as the game will remind you every five minutes. 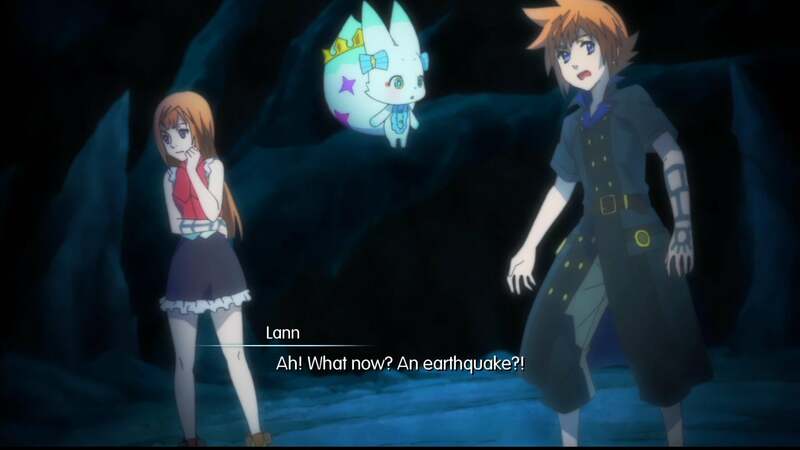 By the way, Lann is the stupid one. Moments like these make me glad the developers included a fast forward feature. Hold down the right bumper the dialogue flies by with the voices muted. 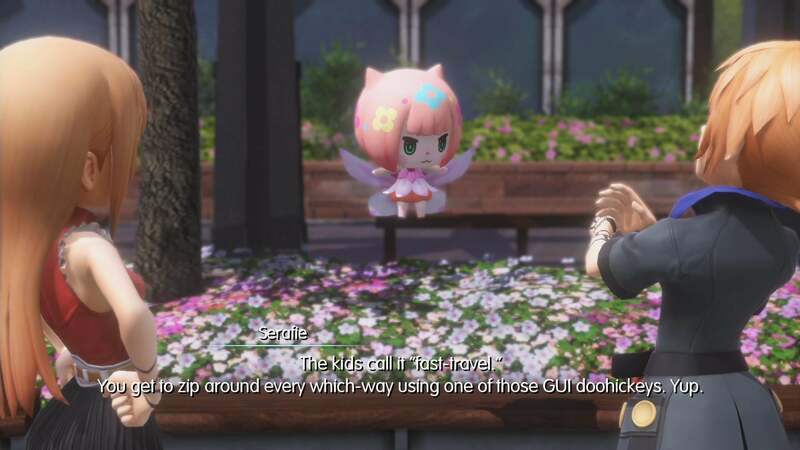 World of Final Fantasy is not afraid to break the fourth wall for funsies. The creature catalogue flavour text is packed with nods to (and the odd winking ad for) older games. One character casually references game terminology. There is at least one blatant call-out to Star Trek. Sometimes the silliness is used to great effect, like Gilgamesh's repeated comical attempts to challenge Final Fantasy V's Bartz to battle. Other times it had me reaching for that fast forward button. Did I mention Lann is the stupid one? As the story escalates and the stakes are raised, the wacky moments slowly begin to take a backseat to drama, and it all evens out. As long as you can make it through the first 15 hours or so (right trigger), you'll be fine. As for the RPG newcomers drawn into World of Final Fantasy by the silly jokes and adorable characters, have fun fighting (redacted) for 20 minutes straight, and welcome to the genre. Some of the music sounds like it came from a Persona game. You'll love it. Earlier this year I said World of Final Fantasy is the fall's most exciting Final Fantasy game. Having played the game for nearly 40 hours, I stand by that. While I still look forward the action-packed road tripping bros of Final Fantasy XV, I'm the sort of fan whose love for the franchise is firmly rooted in the turn-based days of I through X, and that's exactly where World of Final Fantasy takes me. Absolutely love the art style in this, didn't even know about the game until this article. A very pleasant surprise. What systems is this on? I hope it's on ps4 because I don't own any portable consoles. Looking forward to picking this up on Friday along with Skyrim for the wife. I'd be all over this except BF1 just came out. Will pick it up in a few months, I think. Wow. After playing the demo I wasn't expecting such glowing reviews. I supposd I am in the minority.